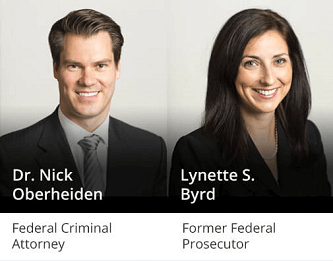 East TX Federal Embezzlement Defense Lawyers - Oberheiden, P.C. For most people, the concept of embezzlement seems pretty “cut and dry”: an employee pockets some of his or her employer’s money. In reality, however, the cases are rarely that straightforward. Embezzlement is a complex criminal allegation, and the prosecution must be prepared to prove the specific elements of the charge if they hope to win in court. The prosecution enjoys several key advantages, though — the seemingly endless resources of a government investigation and the sympathy of a jury. Because juries are comprised of regular community members, they enter the courtroom with that same layperson’s understanding of embezzlement, and they tend to be unforgiving for people they suspect of padding their pockets. Sadly, innocent people are accused of embezzlement all the time, even when the facts of their circumstances do not match the crime of which they are accused. They face a real threat to their reputation and their freedom, all because an employer and a prosecutor decided to jump to conclusions based on inadequate evidence and then seek overly aggressive charges. Nevertheless, embezzlement remains an extremely serious criminal charge. If you have been accused of the crime of embezzlement, or if you suspect that you may be charged soon, you need immediate representation by an experienced Tyler embezzlement defense attorney. While it is almost never a good idea to represent yourself in any criminal proceeding, that is especially true when the allegation is as complex as embezzlement. To be clear: the stakes here are very high. An embezzlement conviction carries severe penalties and could follow you for the rest of your life. There is hope, but you need to take aggressive and strategic action as early as possible. Please call a Tyler embezzlement defense attorney at Oberheiden, P.C. right away. Embezzlement is the misappropriation of property or money that belongs to one’s company or employer. You might also hear embezzlement described as “dishonest appropriation” or “secreting of funds.” It is considered a white-collar crime. Embezzlement can take many forms, and prosecutors love to look for ways to make an embezzlement charge stick. Allegations range from low-level offenders (the grocery clerk who slides a $20 bill into his or her purse) to high-level and elaborate embezzlement schemes (executives who conspire to secretly embezzle funds while “cooking the books” to hide their wrongdoing). Depending on the nature of the offense and the amount of money involved, embezzlement may constitute either a misdemeanor or a felony. Those convicted could face up to five years in prison, depending on the circumstances of their cases. Additionally, they may face enormous fines, adverse employment action, an order to repay the embezzled funds, the loss of certain civil rights, and a permanent criminal record. The state of Texas also allows for even tougher penalties if certain “aggravating factors” are present. An aggravating factor is any special fact that makes your alleged crime even more galling. For example, if you embezzle from a non-profit charity, the court might hand down an even harsher sentence. You may hear the term “embezzlement” used interchangeably with the words “stealing” or “theft,” but it’s important to understand that embezzlement is generally not a theft crime. The distinguishing element of embezzlement is that the defendant had lawful possession or control of the funds at the time of misappropriation. If a retail customer reaches behind the register and steals a $20 bill, it is larceny or theft. But if a retail cashier pockets a $20 bill from the register, it is not theft — it is embezzlement because the cashier was in lawful control of those funds at the time. In other words, the retailer had entrusted the cashier with that money. It is also possible to embezzle money that you have a true ownership interest in. For example, if you co-own a business but you misappropriate an unlawful share of the business funds for yourself, you may be convicted of embezzlement even though the funds were partly yours to begin with. Even lawyers are guilty of talking about embezzlement and theft as though they are the same crime, and that’s a mistake. An embezzlement charge requires a unique and strategic defense, and you must work with an experienced criminal defense attorney who keenly appreciates the complex differences between these specific crimes. Embezzlement is usually prosecuted as a state crime. But if the embezzlement involves funds taken from the federal government, a Federal Reserve bank, or any federally insured institution (including most banks in this country), the offense can be charged as a federal crime. If you have been charged with embezzlement of any amount, whether at the state or federal level — or if you believe you are under suspicion of embezzlement and may be charged soon — please contact our office right away. With many years of experience under our belts, we are ready and able to mount a compelling and strategic defense on your behalf. Our firm works with former federal prosecutors, FBI agents, and forensic accountants to provide the best possible defense for your case. Our goal is always the same: a total dismissal of the charges against you (and an end to all investigations). Please contact us now for a free, no-obligation case review with a Tyler embezzlement defense attorney at Oberheiden, P.C.